Formula One is heating up for a scorching Hungarian Grand Prix. F1Technical.net's Balázs Szabó is breathing in every inch of the last race before the summer break, bringing the latest from the paddock to you. 1. The Hungarian Grand Prix saw the number of spectators rising from 2017 to this year. While last year's race day was visited by 79000 spectators, today saw 87000 fans flocking to the race circuit of Hungary. 2. After having reviewed video evidence and heard from the driver and his team, the Stewards decided to give Valtteri Bottas a 10-second time penalty and 2 points were added to his licence. The Finnish driver forced Daniel Ricciardo off the track, however the Perth-born driver “gave plenty of room,” said the FIA. 3. Sauber-Alfa Romeo's driver Charles Leclerc had to retire from the Hungarian Grand Prix after making contact with two other cars after the start. The collision led to severe damage to his car, forcing him to end the last race before the summer break early. 4. Red Bull driver Max Verstappen has hit out at Renault after his race ended after just six laps into the race. 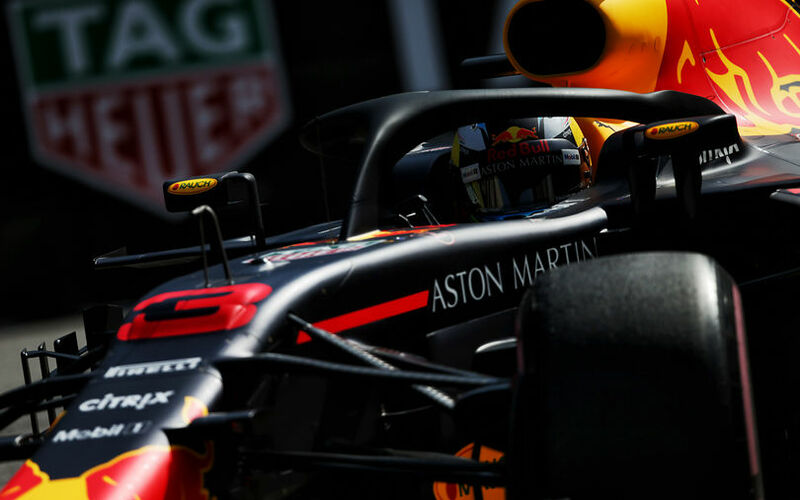 The Dutch driver's RB14 slowed down after the MGU-K developed a fatal technical issue. "You pay millions as a team for, you hope, a decent engine. But it keeps breaking down. We are also the slowest out there.”, said the Hasselt-born driver. 5. Amid Force India's insecure financial situations, Mercedes is not interested in buying the Silverstone-based team. However, team boss of the Anglo-German squad Toto Wolff said he would like to know more about the identity of the potential interested parties. "I would like to know more about the potential buyer and how our cooperation may be affected. Now there are many potential buyers who show great interest in the team. They have the means and they understand how much money is required to achieve results, so now we’ll see what happens," Wolff added. 6. A follow-up to the previous point: according to the paddock gossips, there are five different companies who show interest in investing in Force India. Three of the interested parties are believed to be able to guarantee secure financial future for the team. However, Formula One's Commercial Rights' Holder Liberty Media has to get over a financial barrier. The new owner can only receive the all-important TV income if each team consents to that. Formula One CEO Chase Carey was in Hungary both on Saturday and Sunday, trying to collect the approvals from the teams. Currently, Renault, McLaren and Williams are seemingly reluctant. 7. Hungary' minister for foreign affairs Péter Szijjártó met Formula One's CEO Chase Carey to negotiate about the future of the Hungarian Grand Prix. Although Hungary has a contract with Formula One until 2016, the Hungarian government intends to invest in the track facilities in the coming years. After a lengthy conversation, Szijjártó announced that the renovation of the Hungaroring will start after the 2019 Grand Prix. 8. Tension is growing between McLaren and Red Bull. The Woking-based team announced last Thursday that it reached an agreement with Toro Rosso's technical chief James Key. McLaren's Zak Brown said he did not know when Key could start his work as its new technical director. "We do not have a date on which he will start. He currently has a contract with Toro Rosso and of course we respect it," added Brown. It is believed that Key's current contract with Toro Rosso runs until 2020. Red Bull and McLaren have already commenced negotiations about the exact date of Key's release. F1technical.net's Balázs Szabó was watching the GP3 feature race in McLaren's motorhome when Christian Horner arrived edgily for a talk about the issue.